Cicadas chirping in the trees. Tower white clouds rising over the mountains. Sweaty cityscapes painted with stripes of green trees and yakisoba booths. Fireworks. Yukatas. Beaches, fishing, and drum festivals. These signs can only point towards one thing. It's summer in Japan once again. If you can stand the humidity and punishing sun, then there really is no country in the world I would rather spend my summer wasting away in. Everything is just so fun from summer festivals to barbecues or just relaxing away with friends and family in the countryside fields or rivers. Unfortunately, not everyone can just up and buy a plane ticket to get a hands on experience with all the culture and excitement the summer months offer. If you are short on funds and time and want a glimpse into just one way of life during the summer in Japan, then I can't recommend Millenium Kitchen's Boku no Natsuyasumi (My Summer Vacation) series enough. 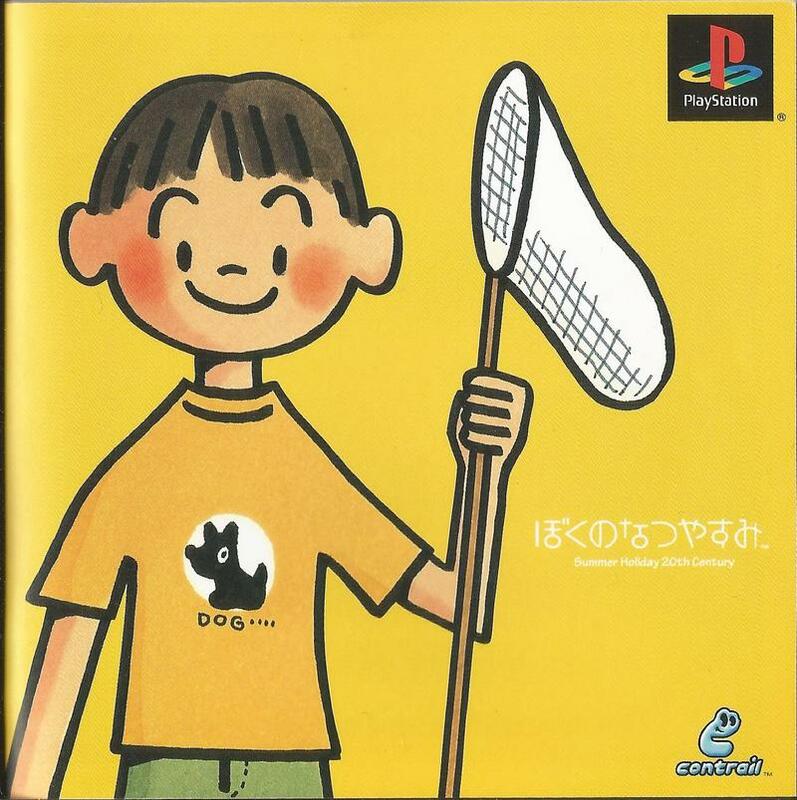 First created in 2000 for the original PlayStation, Producer Kaz Ayabe created the Boku no Natsuyasumi games to recreate the nostalgia his older generation experienced during the magical summertime, back before the Famicom and this soul-sucking phenomenon known as "video games" took Japan by storm. Taking place in August 1975, players take control of a nine year old named Boku (translated as "me" in Japanese) as he spends the final month of his mother's pregnancy away from his Tokyo home. His father drops him off at the rural house of Boku's Aunt Kaoru Sorano, and her family, wishing him the best and promising him a baby sister when the summer is up. Tatami mats, rice fields, and even family members he is staying with are all foreign to this young city boy. 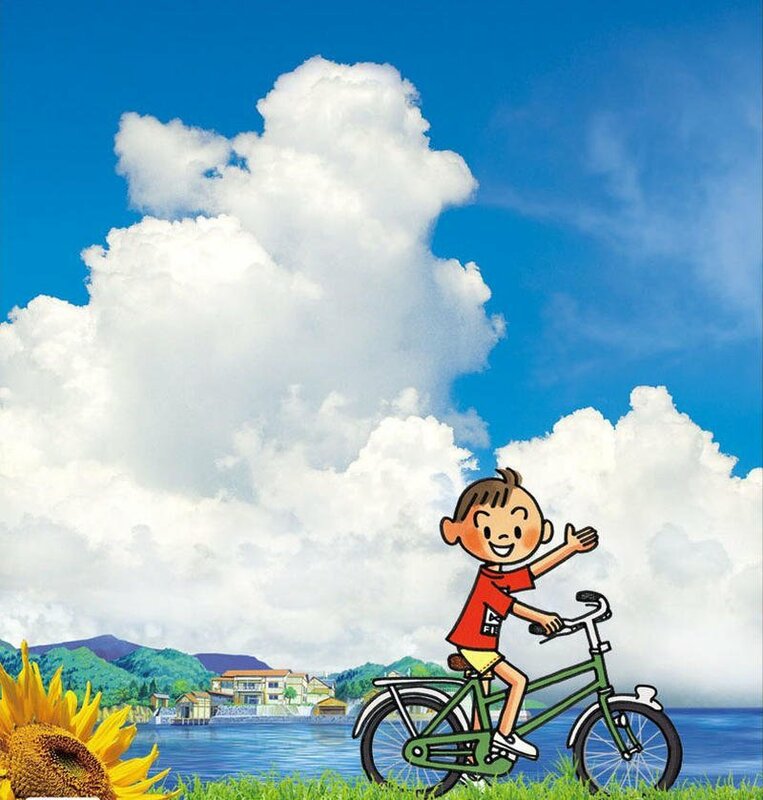 Boku has 31 days to become friends with his recently acquainted relatives, tour the countryside, fill his photo album and create a magical summer vacation that will last with him for the rest of his life. How does he do this but go about many routines of Japanese pastimes and ideal activities young boys undertake in Japan. Fly kites in the fields, go fishing in the river, stretch and exercise every morning, eat with the new family, customize a hideout in the trees, play in the fireflies or just relax in the gorgeous pre-rendered backgrounds. If anything in the game resembles a sense of competition or "gameplay" in a traditional sense, is the most iconic Japanese summer pastime: collecting giant beetles and battling other local boys and their beetles. Boku has 31 days to experience it all, but you never know when fate will throw Boku a curveball. His family morning routines might change, family tensions might rise when he uncovers some past tragedies, and even a ghost comes into his experience as he helps solve her mystery. Exploration and experiencing everything has to offer is the core drive of this game. Boku will make new paths as time goes on, opening up more areas, each more beautifully rendered than the last. Perhaps, if the gamer does everything right, he will even find a lost way to the central mystical mountain where something amazing is promised to happen. And, of course, like real summer vacations, it has to come to an end. Boku's father drives up as scheduled, bringing a tearful and yet happy ending to this little piece of heaven Boku has made more himself. Granted, Japan's summer vacations aren't totally like this anymore. Cities have grown much larger in the nearly 40 years since 1975. Video games, fashion, traveling abroad, and more modern extravagances have replaced the need to have these sentimental memories, and adults are too preoccupied to set out on grand children adventures. That's not to say this doesn't exist for the youth of today though, many of whom can still find these kind of experiences today just a short drive from their urban homes. There is still a definite urge to "get out" in the summer, back to a more simpler and carefree day and age everywhere you look. Boku no Natsuyasumi perfectly captures this spirit, and if you want a glimpse into how the ideal summer vacation of the average middle aged salaryman spent his happy childhood and the gorgeous nostalgia of his childhood, there's not a better game series out there. Boku no Natsuyasumi prove popular enough to expand into three more main games, each of them retelling the same core story in a different area of Japan and adding to the number of activities and areas Boku can find. Boku no Natsuyasumi and 4 both take Boku to the gorgeous scenery of a green coastal town along Japan's southern coast, and the third entry ship him far up north to Producer Kaz Ayabe's hometown in Hokkaido. Because these games have never been localized in English, the language barrier might be a little too much for some. However, why would you want to experience a Japanese summer in English? Play along with the Japanese and experience it as it, it'll be far more rewarding, even if you can't understand what the characters are saying. The storytelling in these games is powerful enough in this game to steer your emotions in the proper directions. The games are also very import friendly. The first and second games originally graced the PlayStation and PlayStation 2 respectively, however, they have since been ported to the region-free PSP, meaning that no modding or cheating of the console will be necessary to play them. Boku no Natsuyasumi 3 is readily available on the PlayStation 3 and Boku no Natsuyasumi 4 can be played easily on the PSP thanks to its region-free nature as well. 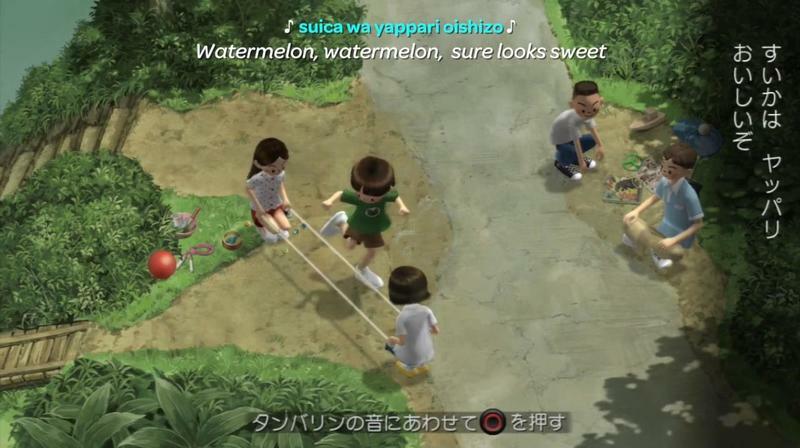 The only game you might have trouble accessing is a side-entry called Bokura no Kazoku on the PlayStation 2. Its lack of ports to region-free consoles might make it difficult to access for American gamers, and it focuses more on a city summer vacation much more in line with the children of today. For the most extensive coverage of the series, be sure to check out Ray Barnholt's video game history magazine, SCROLL. Issue 10 focuses solely on the Boku no Natsuyasumi games and even features a rare English interview with Kaz Ayabe himself. Also, if you want a much easier and much more accessible look into the mind of Ayabe and Millenium Kitchen's design theories, be sure to play Attack of the Friday Monsters: A Tokyo Tale. This Nintendo 3DS eShop exclusive takes on the same spirit of childish adventure, picturesque Japanese countryside scenery and sounds, and carefree gameplay, and it ties them with his nostalgia for tokusatsu (giant superhero) television shows. Plus, it's also in English! Still, there is no substitute for the real thing. 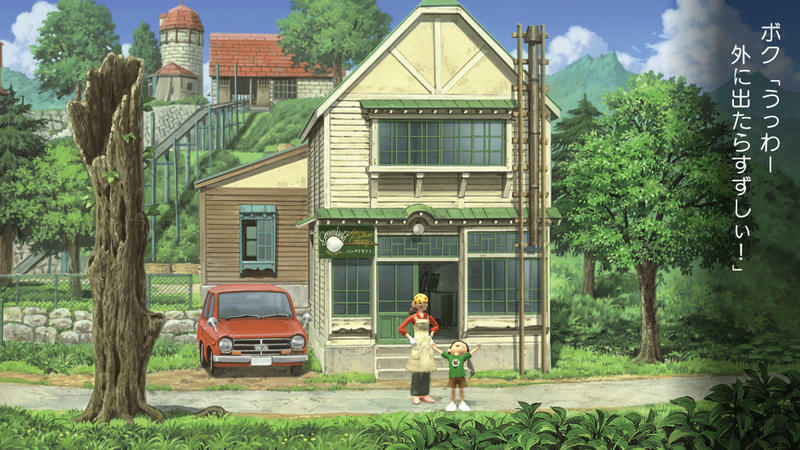 Boku no Natsuyasumi might be a little too "Japanese" for American releases, but it's a great way to experience a foreign culture and an ideal, picturesque childhood adventure without actually coming to Japan yourself. You might even experience a little nostalgia for something you never had.